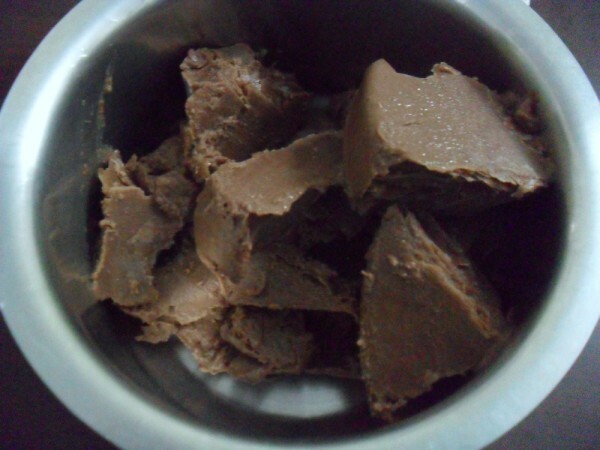 While I was making the Vanilla Ice Cream from the ready made Ice cream powder, I knew my boys won’t eat the white stuff, meaning nothing other than chocolate is what fancies them. 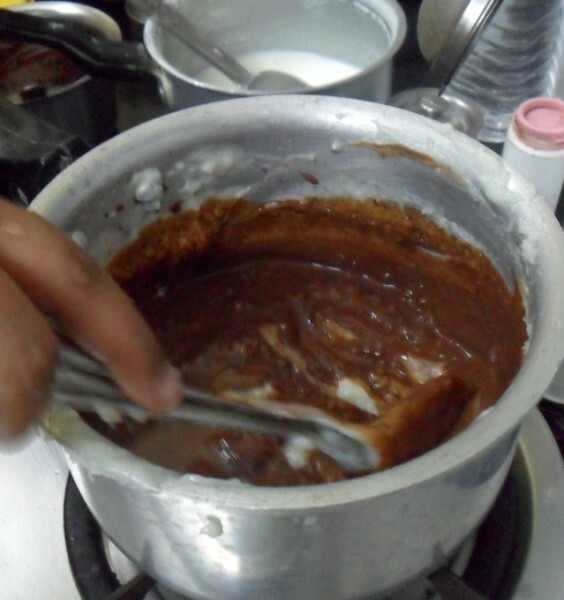 They were happy when I told them that I am making Chocolate Ice cream as well. 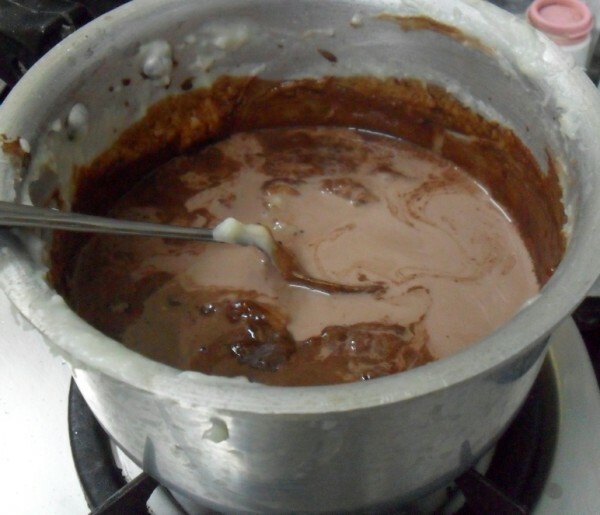 So I removed half of it and made chocolate ice cream. 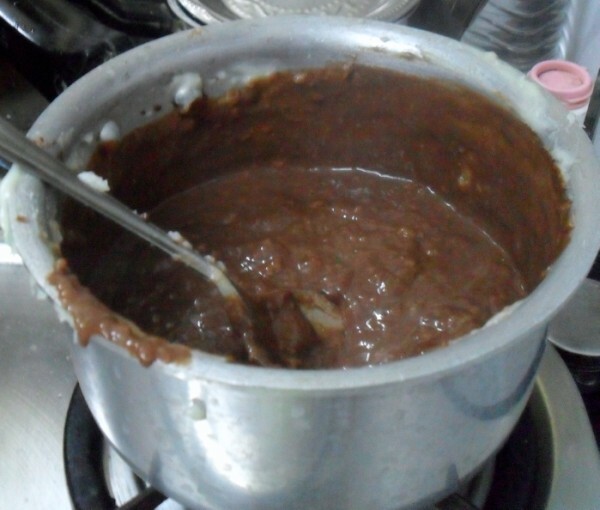 When I was doing this recipe, I had three other flavours ready. However they were interested only in the chocolate, so I had whipped only this and when they came home, their ice cream was waiting. I had a similar feedback from them as well as what Konda said. So all my fear was misplaced. I am glad that this didn’t turn into a flop story. It’s amazing that the fear that I had dreading the moment when I turn it down and still see the custard in place. Worse was imaging who will eat the whole lot if it turned out to be so. As such there is whole lot I could avoid, so I can’t afford to have these slipping on to my waist! After clicking, when I offered this to Konda, she wanted me to taste. I refused saying I wasn’t particularly interested. She said I must taste it, having taken so much efforts to prepare it. I said I was more than happy to see her reaction, than eating it and then regretting it. Not that I haven’t tasted any of it. Least did she know that my vote doesn’t actually matter, as this is Kid’s delight that I was making, it surely needed their approval. Once she was reading and asked what this was all about. I explained and said I was recording all her approved dishes and the dishes she likes. Which is in fact true, but having known about this, this surely got her elated and happy in being talked about. Couple of days following this conversation, she was trying very hard to please me with her food habits, hoping I would update that Konda was eating this and that. This incident happened more than couple of years, she is now an young lady with even more specific ideas and tastes. However it’s taken a better turn, I can actually talk to her and convince her on somethng, which is still near impossible with the boys. 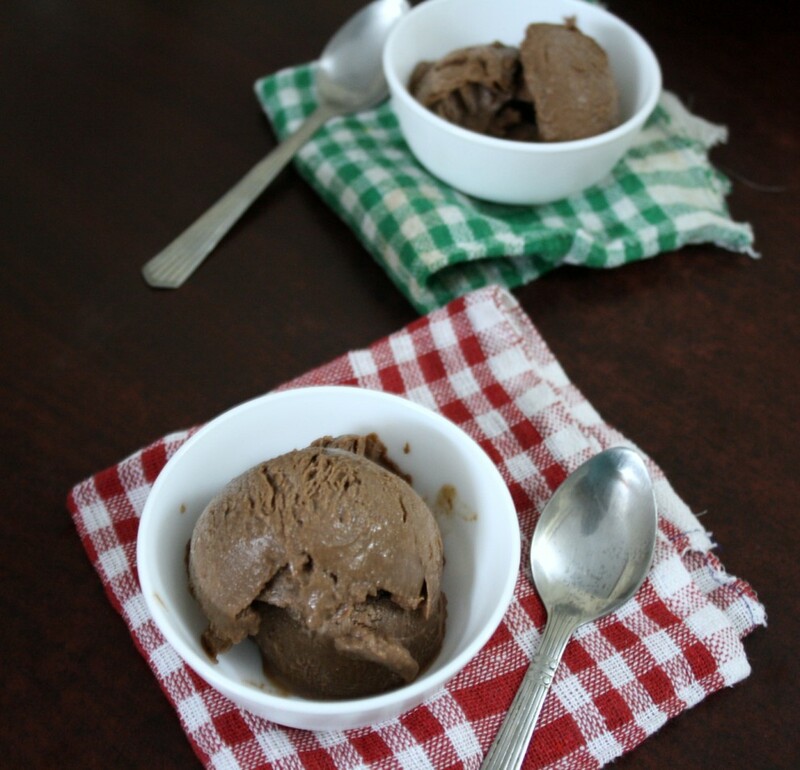 Whatever might the other dishes be, all three stand on same thought when it comes to Chocolate Ice cream! 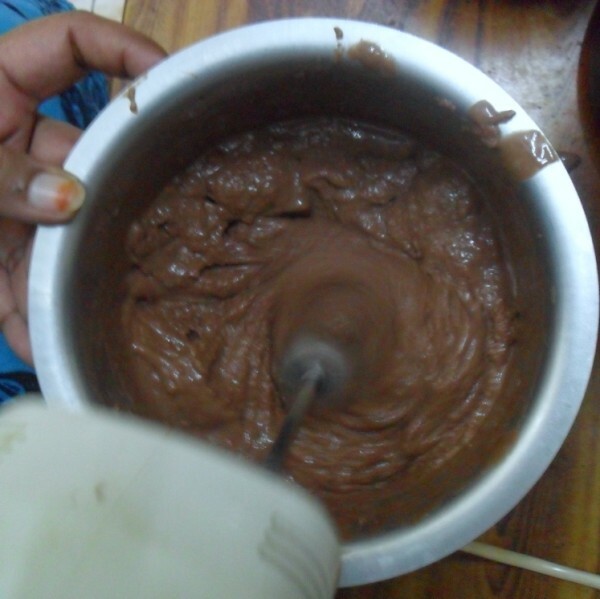 The second whisking continues from the Vanilla Ice cream. I used pictures before the first beat, and in this post pictures from the second beat. 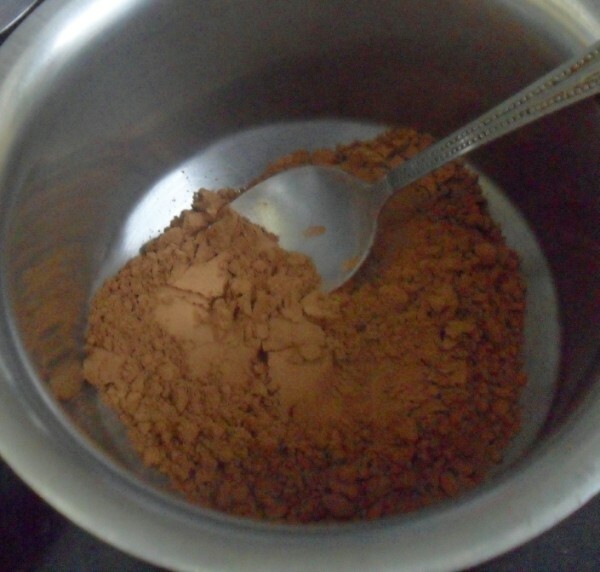 In a bowl, mix the cocoa powder and milk. 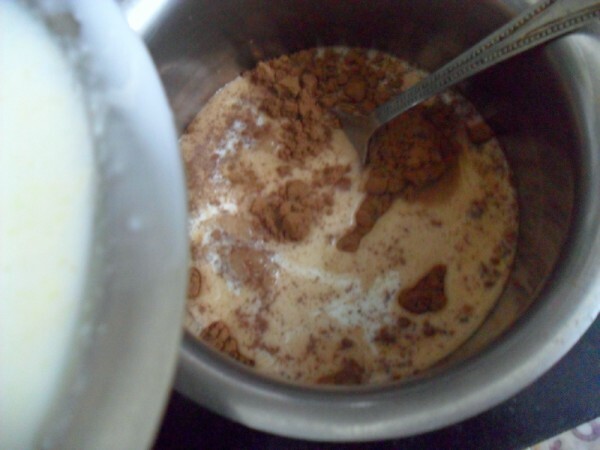 to the removed bowl of vanilla ice cream, add the cocoa mix and let it cook. 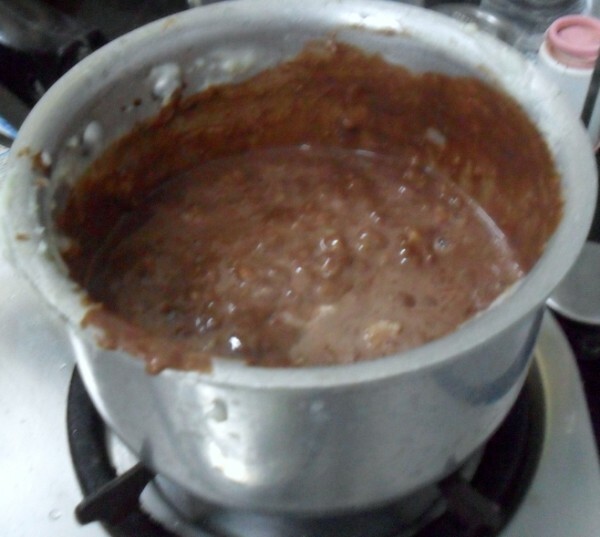 Continue cooking till the mix reaches it’s thickness. Allow to cool, freeze it until done. After 6 -7 hrs, remove, break into shall pices and using a blender, beat it fine. Refrigerate it again until set. 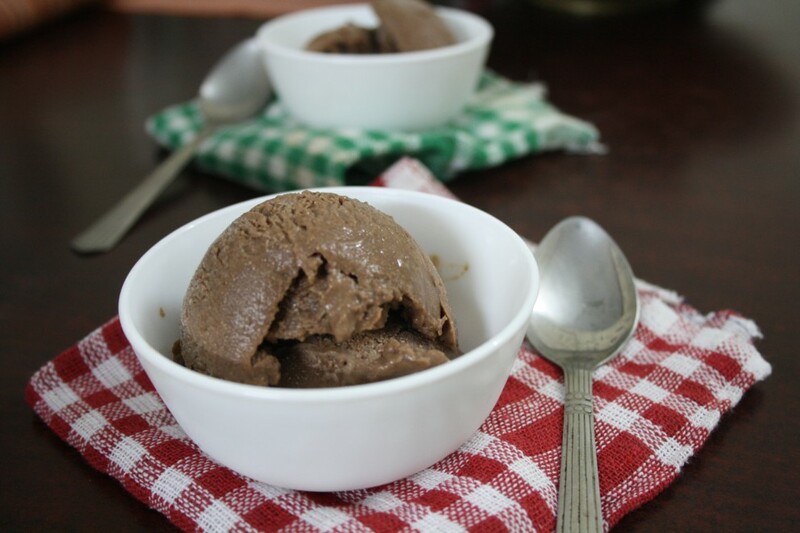 Eventhough am not feeling well,i dont bother to have few scoops rite now.Droolworthy chocolate icecream. They have come out so well & looks like store brought! Looks like you have mastered the skills in making ice creams. 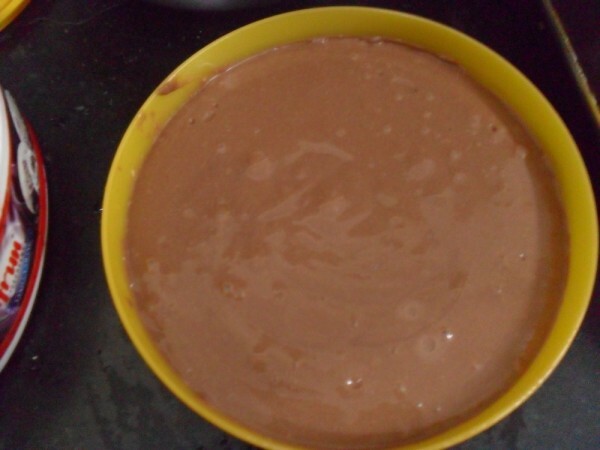 Omg hw u did this perfect icecream never tried icecream at hme… u make it's simple to do…. wanna try this…. Good one. The kids probably had a blast!! 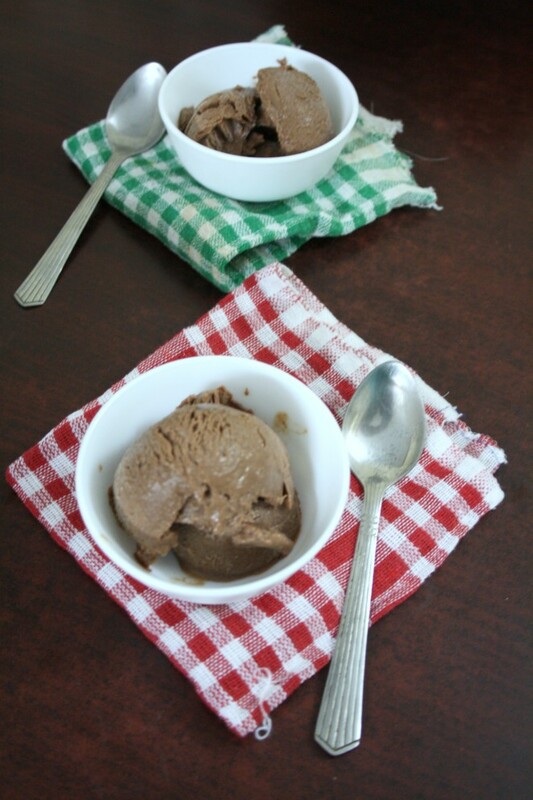 Love the pictorial.superb ice cream. 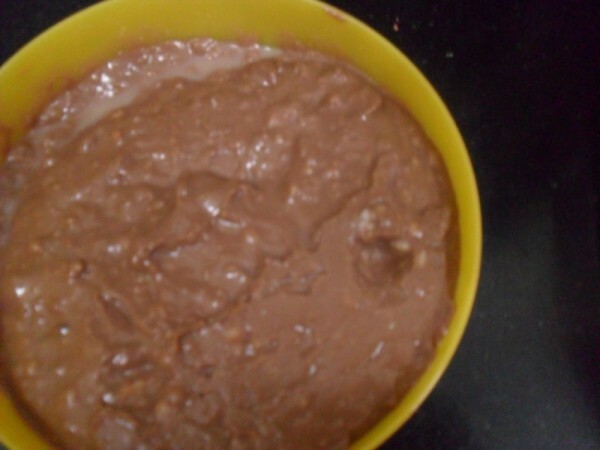 Perfect one, haven't tried with ice cream powder, what did your daughter say for this?